Use the FB Benefits app to take advantage of our special discounts and offers. Our auto replacement coverage is set to a different tune. 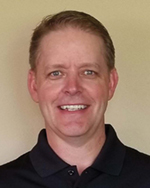 Hi, I'm Jeff Bair, a Farm Bureau Financial Services agent in Solon, IA. I'm here to make insurance simple for you. I'm committed to helping you prepare for the future and protect what matters most. Let me help you through all stages of your life.